This tart-sweet Rhubarb Margarita is made with a swirl of homemade fresh rhubarb syrup. If a Farmgirl was to have a signature drink…it would have to be this one! I don’t often turn the spotlight directly on myself. But my birthday is this week. And to celebrate, I wanted to reacquaint you with a recipe I shared very early on in this blog’s lifetime – my favorite cocktail, a margarita. 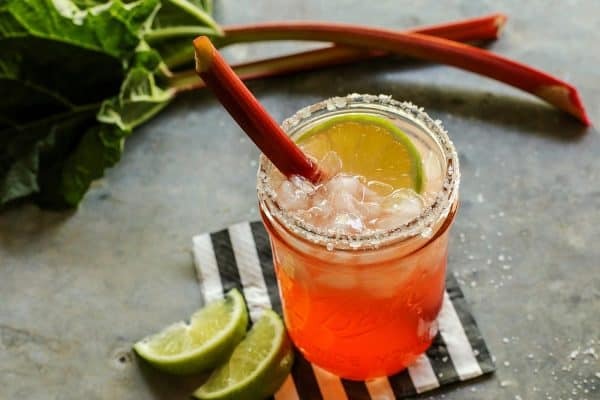 This Rhubarb Margarita is also known as The Farmgirl Margarita around here. When I think of rhubarb, I think of growing up on the farm – where my love for rhubarb began, thanks to Mom. It seems that all of these things make this the perfect drink to celebrate my birthday, don’t you think?! 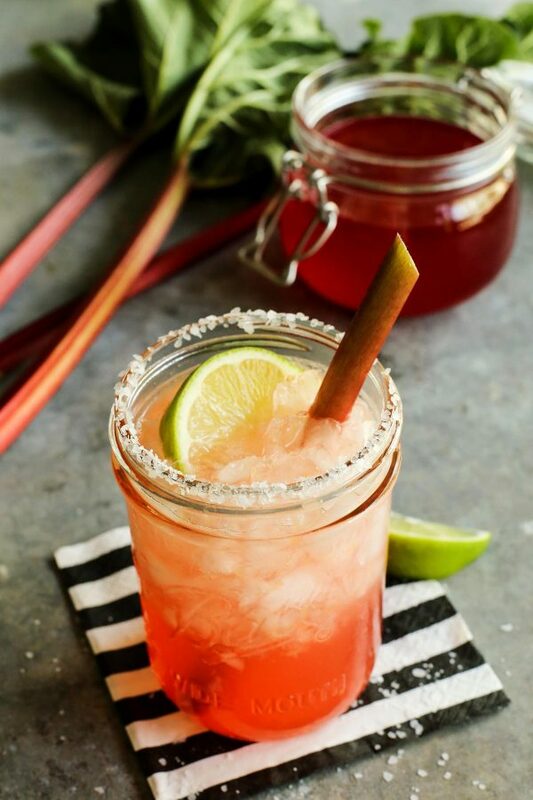 This is my go-to margarita for spring and summer, when the rhubarb is fresh and abundant. 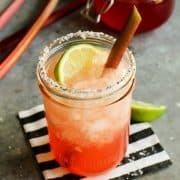 With a good amount of chilled, bubbly club soda in the glass, this rhubarb margarita is wonderfully refreshing. Serve it with my favorite Taco Salad and Pickled Red Onions or with these beautifully charred Grilled Margarita Shrimp, so very good! To learn more about rhubarb, check out my Rhubarb 101. 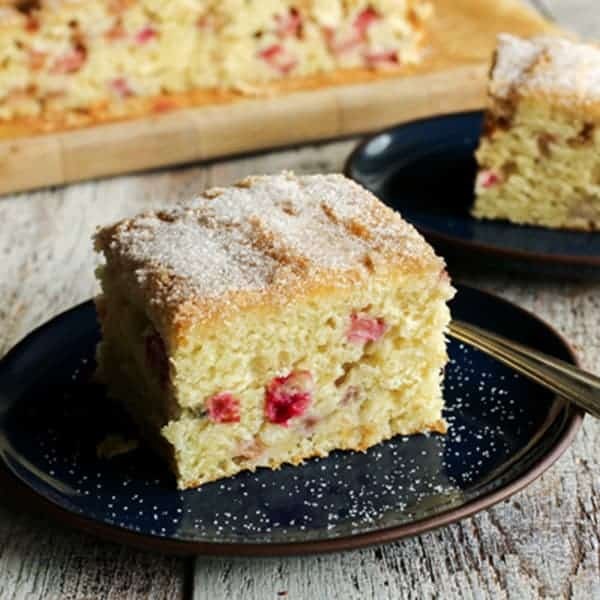 *Here are a few more rhubarb recipes I’m loving right now: this comfy Rhubarb Sour Cream Coffee Cake, my beautiful Raspberry Rhubarb Skillet Coffee Cake, and these always popular Strawberry Rhubarb Crumb Bars. 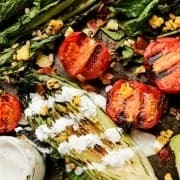 What to make with rhubarb? When the first stalks of rhubarb appear in our grocery stores, just a bit before our own plants are ready to harvest in the yard, I can’t help but get the itch. The itch to make all things rhubarb. 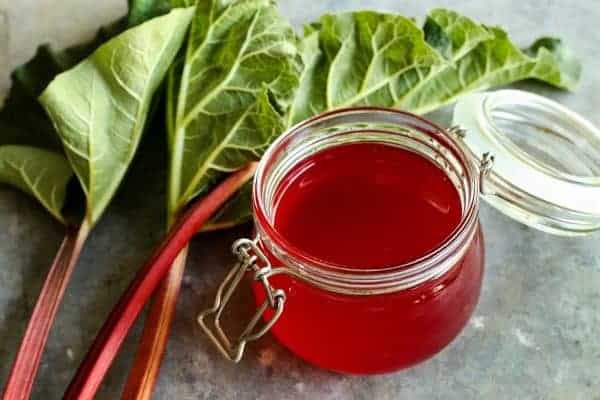 One of the recipes I always make right away each spring is this Ruby Rhubarb Syrup. I just made a fresh batch, converting that super tart rhubarb into a sweet, thickened syrup. We like to drizzle the beautiful syrup over waffles, stacks of buttermilk pancakes, fresh berries with a scoop of vanilla ice cream, and simple bowls of Greek yogurt. Our kids also like having this syrup on hand for special drinks this time each year. 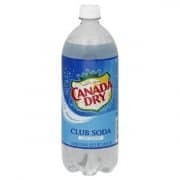 I simply pour some syrup over ice in a tall glass and then top it off with cold club soda. Or I stir it into some lemonade. Both of these are super fun and refreshing summery drinks. 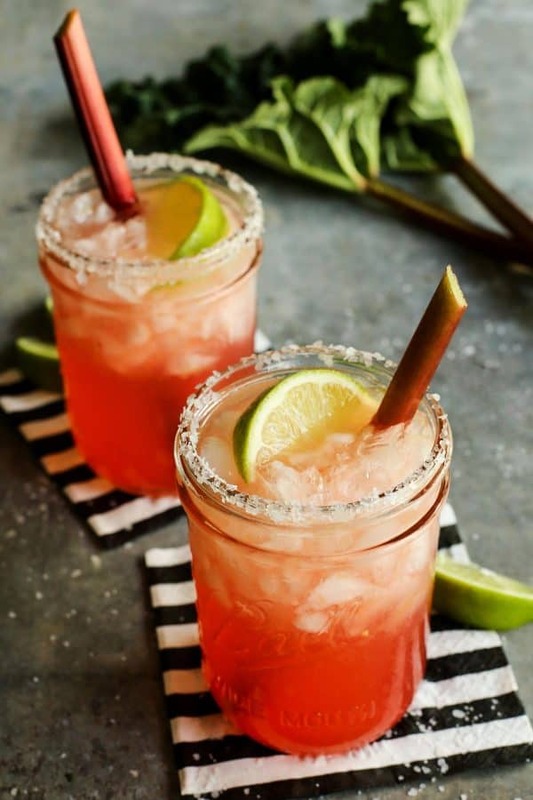 And as you probably already guessed, rhubarb syrup is pretty darn awesome in a margarita!! You’ll find all the familiar margarita ingredients here: tequila, orange liqueur, a sweetener, and fresh lime juice. Add to that my homemade rhubarb syrup, some freshly squeezed orange juice, and chilled club soda, and you have yourself a very refreshing rhubarb margarita. It’s that simple. I wrote this recipe to accommodate making four cocktails. It’s been evident to me how people like having a big-batch cocktail recipe for easy entertaining. Two more big-batch margarita recipes for you: Prosecco Margaritas and my Margarita Recipe for One and for a Crowd. It should go without saying, but The Farmgirl Margarita deserves to be served in a mason jar. I like to use these wide mouth pint jars. They’re very durable, our everyday choice for drinking glasses. And I always love a salted rim. As you can see, rhubarb is not just for coffee cakes, pies, crisps, cobblers, breads, and scones. It’s also fun to drink! If you’re not a fan of tequila and want to try this beautiful syrup in a cocktail, I can also offer you my Rhubarb Mojitos, wonderful with rum and fresh mint. 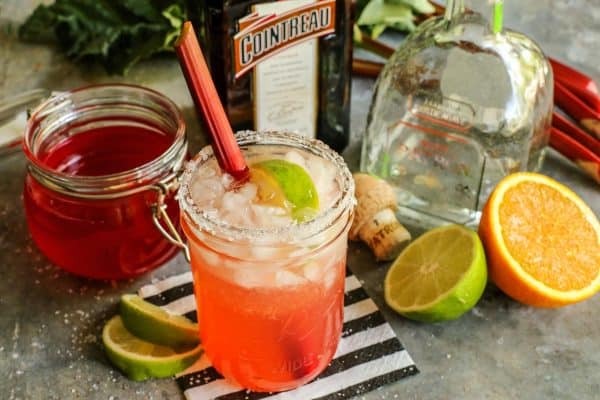 *Here are a few recipes I’d like to try: this gorgeous Lady Greyhound Cocktail from Foodie With Family, Tequila Pineapple Punch from Beyond Frosting, and a Whiskey Smash from The Noshery. 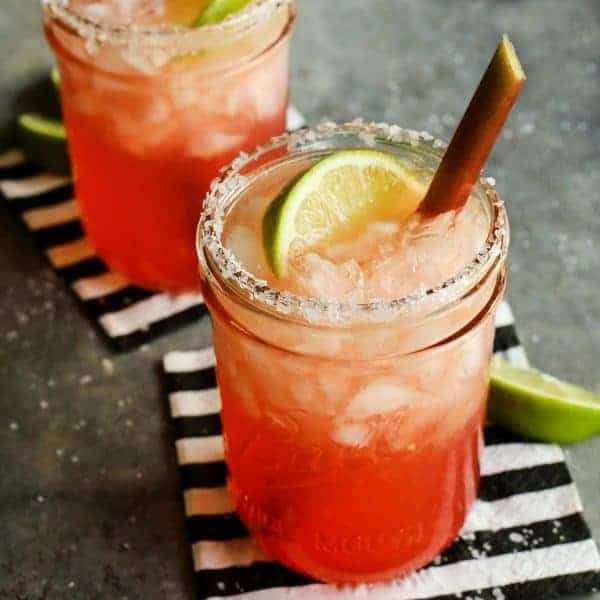 Pin these Rhubarb Margaritas for later! You’ll find all the familiar flavors of a classic margarita here, along with the tart-sweet addition of a homemade fresh rhubarb syrup. 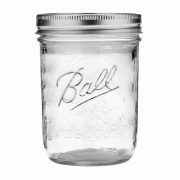 If salting the rims of your glasses, lightly rub a lime wedge around the rims of four wide mouth pint jars (or other 16-ounce glasses) and then dip the rims in salt. Set aside. In a small pitcher, combine the Ruby Rhubarb Syrup, tequila, orange liqueur, lime juice, and orange juice. Stir. Divide mixture evenly between the four prepared glasses, just a bit more than 1/2 cup per glass. Fill glass with crushed ice to fill the glass 2/3 of the way. Top with club soda to almost fill the glass. 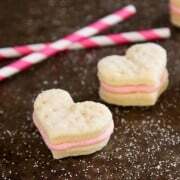 With a spoon, gently stir the drink to incorporate the heavier rhubarb syrup mixture into the club soda. 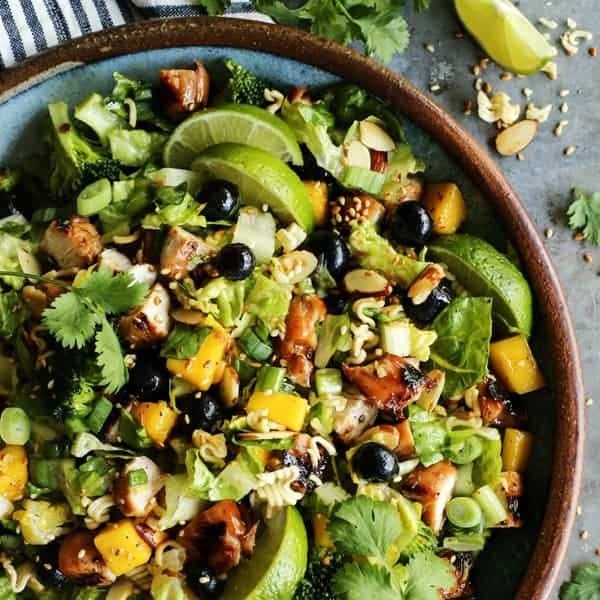 Squeeze a lime wedge over the top and then garnish with another lime wedge. This post was originally published in 2012, and remains one of my favorite spring and summer cocktail recipes. Photos and text were updated in 2018. I looooove rhubarb! This looks positively incredible! 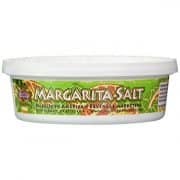 I am not usually a margarita person, but these might just change my mind! They look SO GOOD! 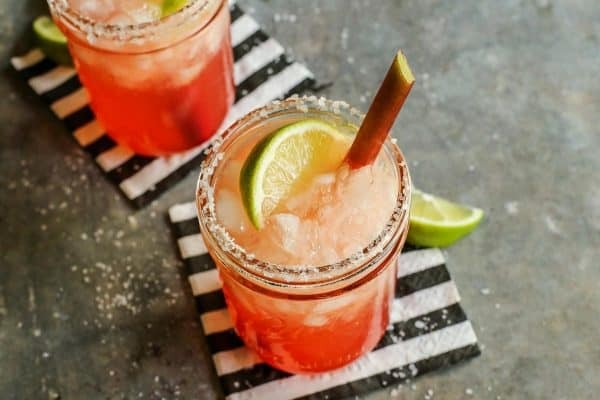 I’ll gladly take two of these gorgeous looking margaritas! Brenda, your blog is one of my favorite blogs! 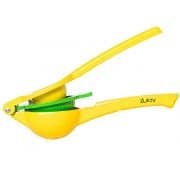 What a wonderful idea for a margarita!!! 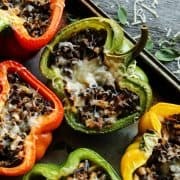 What a great way to get your veggies! Your pictures are so pretty and what fun to make this drink out of rhubarb syrup. Thank you so much Nancy. Have a great weekend! Margaritas are my mixed drink weakness. Just something about the sweet and tequila and salt together. Let me know when your vow becomes reality!! I love all your rhubarb recipes, especially this one. I’ll have to make this tonight since Friday night is just too far away. Oh you already know I’m crazy for rhubarb so this is my kind of drink! Wow! I like it very much. Thanks for your great recipe. I hope i will make it successfully like you. So pretty, love the mason jars & lime wedges! 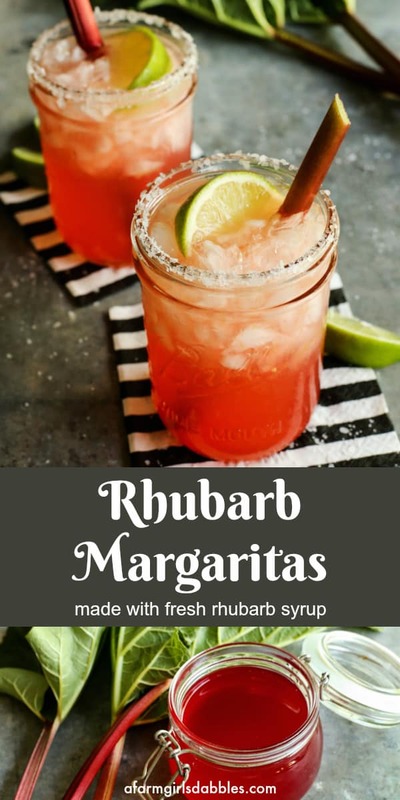 I love anything rhubarb and I would absolutely love this margarita! Lovely! It does make for an eye catching drink and I like the mason jar glass, nice touch. This sounds pure delicious! I love it! Mason jars make any drink better! And margaritas are the perfect drink for summer. We are visiting my in-laws this weekend and they (and I) love margaritas. I think I will give these a try for them! I absolutely love this!